For precise cuts every time this sturdy mitre box with 14-inch back saw is a must for your workshop. It's perfect for cutting wood mouldings, picture frames and so much more. Made from highly impact-resistant plastic that can withstand rough use, the integrated front lip rests against the edge of your workbench to prevent it from slipping while you saw. 14-inch Impact Resistant Mitre Box with Back Saw For precise cuts every time this sturdy mitre box with 14-inch back saw is a must for your workshop. 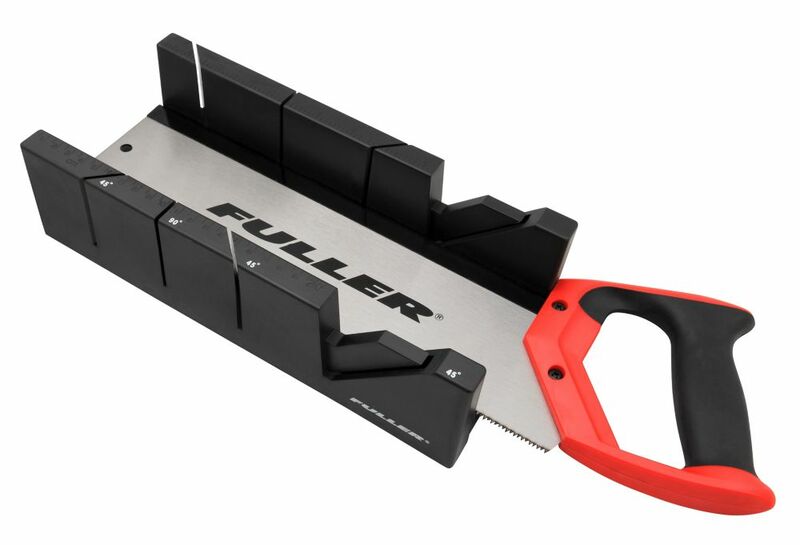 It's perfect for cutting wood mouldings, picture frames and so much more. Made from highly impact-resistant plastic that can withstand rough use, the integrated front lip rests against the edge of your workbench to prevent it from slipping while you saw.